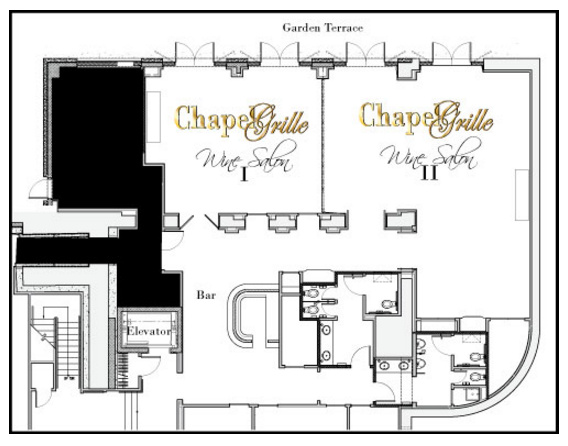 Chapel Grille is an ideal choice for your next intimate business dinner or a large reception. With state-of-the-art AV, two wide screen televisions with HMDI access, and complimentary wireless internet, the private Wine Salon is also equipped for video conferencing and teleconferencing. Our professional team will coordinate every detail of your corporate event to make sure it is executed seamlessly. 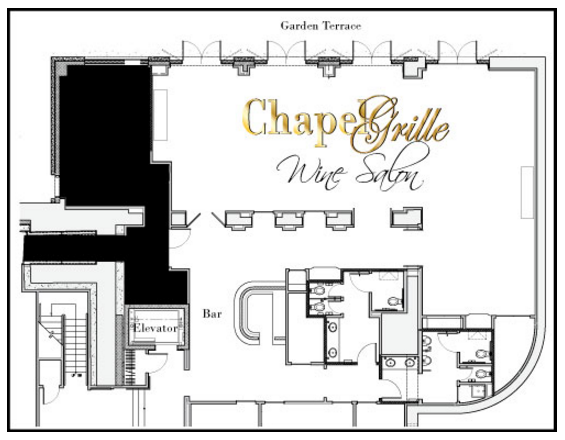 Chapel Grille is the perfect venue for Bridal Showers, Baby Showers, Graduation Parties, Birthday Parties, Anniversary Parties,Baptism and First Communion Parties, Bar and Bat Mitzahs and more! Our professional team will work with you to create a personalized, enjoyable, and memorable event from the moment your valued guests walk up to the front door.